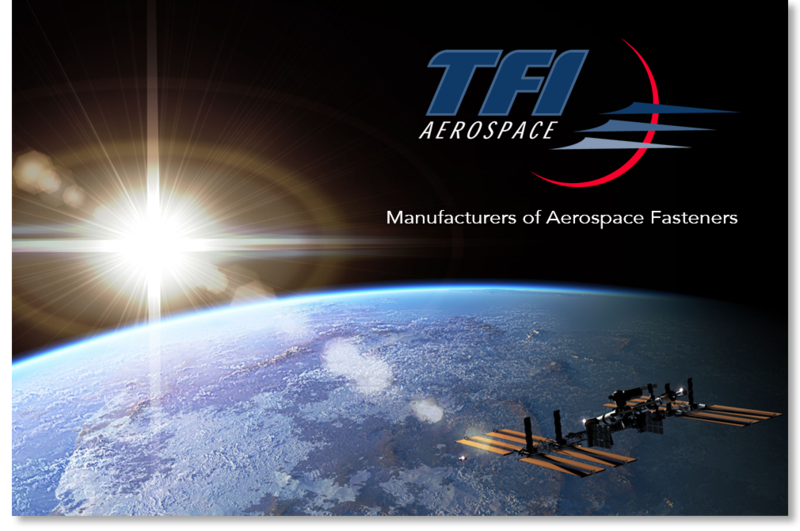 Welcome to TFI Aerospace Corporation, a leading supplier of specialty fasteners for aerospace, transportation and industrial applications. Since its establishment in 1991, TFI Aerospace has been a trusted world-leading producer of high quality, specialty fasteners used in critical applications. TFI has earned a reputation for excellence in the supply of male-threaded aerospace fasteners, with parts being supplied for the world's leading commercial and military aircraft, and also for space applications. TFI also produces high temperature, high stress fasteners for automotive, transportation and industrial equipment. Our expertise encompasses high stress bolts, including hex heads, 100 degree heads, 12-point and other head designs, T-bolts, screws and rivets, all produced to exacting specifications and made from standard and advanced alloys, including A-286 super alloy stainless steel and lightweight Titanium. TFI produces to several Standards, including NAS, NASM, MS, LN and AN, as well as customer designed fasteners. TFI's quality system is certified to AS9100 and ISO 9001:2015.